Do you ever find yourself with leftover egg whites and have no idea what to do with them? Well first of all, you can freeze them did you know? 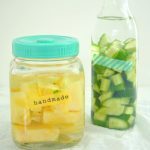 I recommend freezing in small amounts such as 2 or 3 whites and labeling the bag/container with the number so you know for next time. 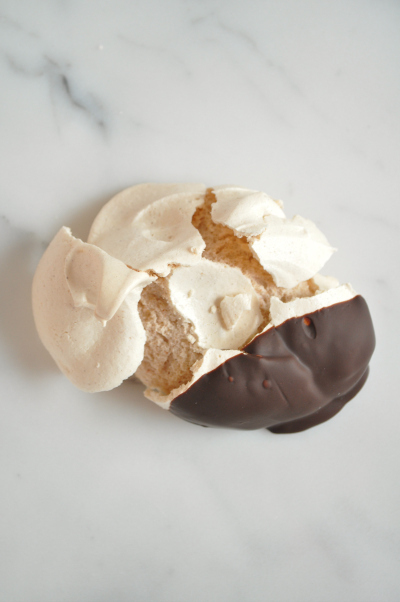 Or if your freezer is full to bursting like ours, you can make meringues! These little beauties are a perfect winter treat because they are spiked with warming spices like ginger and allspice. Plus meringues are basically guilt-free aren’t they? Well maybe not once coated in chocolate, but think of all the antioxidants! Preheat the oven to 150°C (conventional). Line two large baking trays with baking paper. Whisk egg whites in an electric mixer until soft peaks form. Gradually add the sugar and whisk until glossy and stiff. Add the ginger, mixed spice, allspice, cornflour and vinegar and whisk until well combined. Spoon heaped tablespoons of the mixture onto the trays. Place in the oven. Reduce the heat to 120°C. Bake for 45 minutes or until crisp. 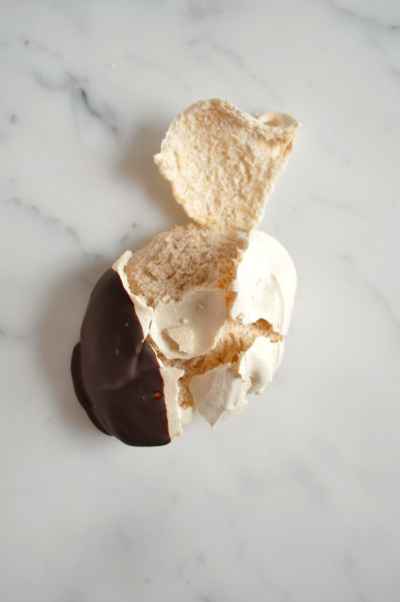 Turn off the heat and allow meringues to cool in the oven for at least 4 hours or overnight. 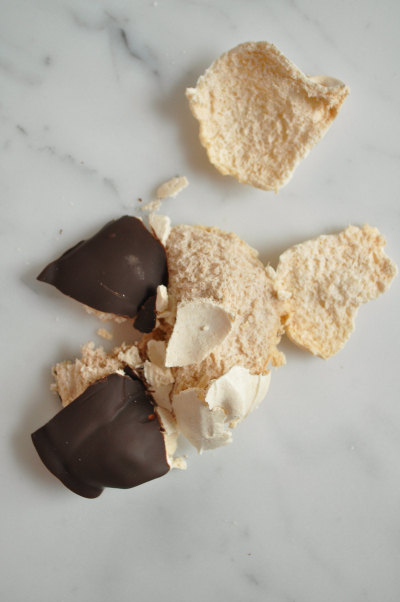 Once the meringues are cool, place the chocolate in a small, deep heatproof bowl over a saucepan of simmering water. Stir until melted and smooth. Remove from the heat. Half dip the meringues into the chocolate and place back on the lined trays to set. 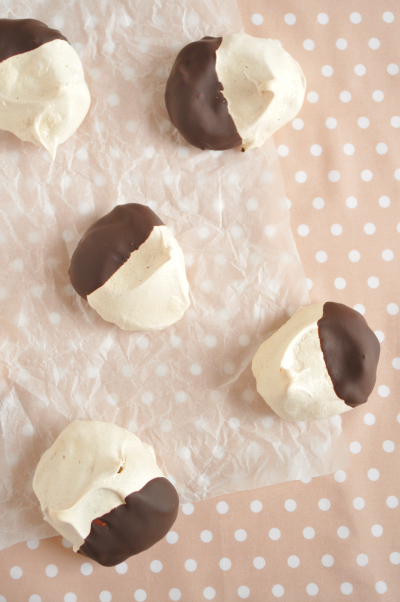 oOo If you want to use less chocolate you can also drizzle the meringues with the chocolate, rather than dipping. oOo Avoid making meringues on humid days as this can cause them to ooze sugar a little. oOo Some of the meringues will crack, this is totally normal! Try turning them into mini pavs by topping with whipped cream and fresh fruit and no one will ever know. oOo The meringues will last for at least 3 days in an airtight container.